I grew up in a house of traditionalists but The Lone Ranger shared very few moments in my classical upbringing. Sure, I knew the myth, and I listened to one or two of the old radio shows in college but The Lone Ranger was never a big part of my life so when reviewers cram in their memories of Clayton Moore’s John Reid/Lone Ranger I tend to push it aside. Going into the newest incarnation of the famed outlaw (this time starring Armie Hammer as the masked avenger and Johnny Depp as his trusted Comanche friend Tonto) I didn’t have any reservations but did indeed have general fears considering the chaotic production history and the negative reviews. 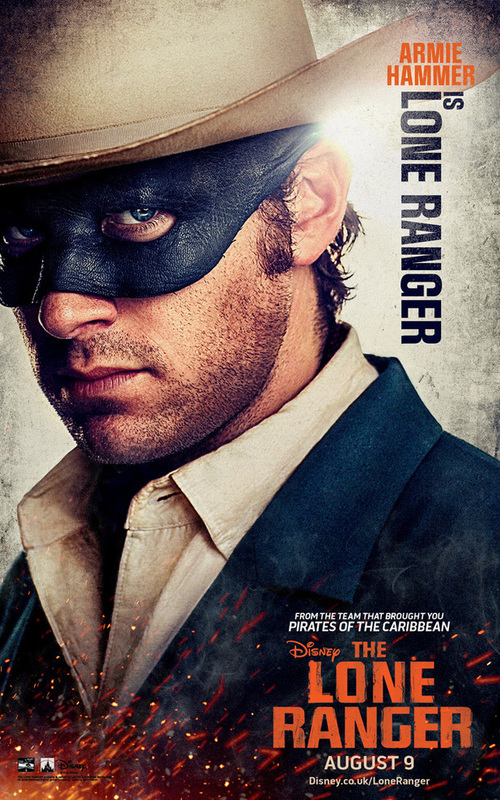 Well, The Lone Ranger isn’t as bad as everyone thinks it might be but, it still has problems, major problems. This includes a bloated running time crammed with too much story and an incredibly weak star that brings nothing to his portrayal of an iconic role, and no, I’m not talking about Hammer in the signature mask. While it’s deemed mostly necessary here considering the dated history of the characters, The Lone Ranger spends the majority of its time stuck in origin story syndrome, a go-to method in these films that Hollywood somehow still never shakes from the trees. From what I can tell the story of The Lone Ranger is altered a smidge here making John Reid a clean cut prosecutor who believes in justice the right way instead of the outlaw way. This makes Hammer’s portrayal a little bit of a sissy, not willing to brandish a gun and can give up if confronted with intolerable danger. Hammer plays him in a Jimmy Stewart kind of way, which works but it also takes away the hero motif of the character, despite having all the right morals and personality traits. He looks great brandishing the mask and when the William Tell overture plays (as it does several times) you can’t help but smirk at the iconography at play here. His balance of seriousness and goofiness, especially when interacting with Tonto, makes the character hard to read up until even the last few scenes but he is likable nonetheless. 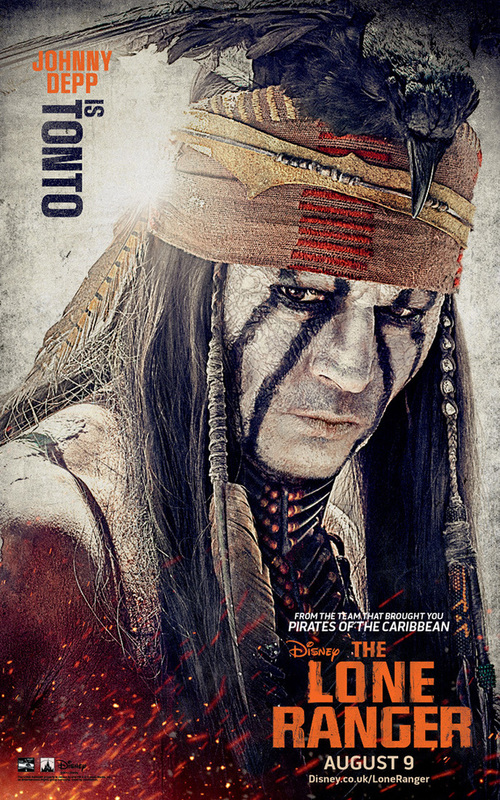 It’s through this awkward balance and mythology-altering that we are delivered the biggest issue of this film beyond time, and, unsurprisingly, it’s Johnny Depp’s portrayal of Tonto. For the better part of a decade now Depp has been really phoning-in performances by putting that quirky, Jack Sparrow-edge to all his characters because that’s what brings in the money. While he had promised Tonto would be played much straighter, I didn’t see much of a difference from his other roles. Tonto’s back story also creates a rather misguided and almost buffoonish interpretation of an otherwise noble Comanche warrior. Tonto also serves as the narrator of the story as he is introduced at the beginning — many years later retelling his tale to a little boy dressed as his old friend. This doesn’t allow the rules and overall tone of the film to be set in place and some of the random humor mixed with a shocking amount of violence (and even cannibalism) shows the cracks in the film’s troubles easily. The cast for the most part skates on mediocrity mainly by either being poorly utilized or completely unnecessary. Helena Bonham Carter’s role as brothel madam Red Herrington has no real purpose here. Don’t get me wrong, she’s a good actress but this seems to be her place in most films nowadays even in her husband’s pictures. Tom Wilkinson, always a great actor, God bless him, but his villainous tactics here run so thin playing a railroad tycoon looking to control the new transcontinental railroad. While it’s more than a serviceable performance he is about a hair away from twirling a mustache at the camera. Ruth Wilson, who I recently discovered is a barn burner of an actress on the BBC crime drama Luther, doesn’t make a splash in her first major film role as Rebecca, John Reid’s former love interest and the wife of John’s Texas ranger brother, Dan. The film’s true standout is the great William Fichtner, a man who is disguised heavily by some CGI effects here but serves up a wonderful villain in Butch Cavendish. Fitchner leaves you in continuous fear of what he is about to do next come off just as disturbing as he is scummy and vile to look at. Director Gore Verbisnki is not known for being short on material nor subtle in presentation and while a lot of the action shots are paced wonderfully they never let up. When you need downtime you never get it which prevents the film from really fleshing out its characters and story. Much of the action also defies the laws of physics which is fine if you are watching a Fast and Furious film but in a western like this tone needs to be established and the boundaries of the genre need to be adhered to. However, this is not his style and what you get feels like a more restrained (at times) western version of a Pirates of the Caribbean film. Hans Zimmer delivers another stand out score which is brooding, ancient, and at times lingers on nostalgic as you can clearly hear moments inspired by spaghetti western great Ennio Morricone. Look I’m not telling you this is a must see, in fact, I’ll say it now, find another movie to see. Yet, I’m also not saying The Lone Ranger is the end of civilization in modern cinema. 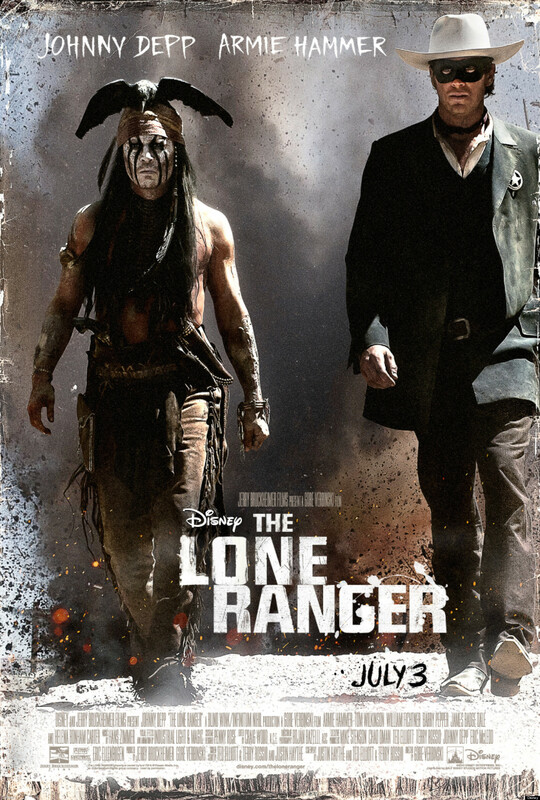 When The Lone Ranger has its feet planted in the iconography of the old west it’s a fun, bombastic, action film. However, as I said before, it’s also too long, at times too silly, and more importantly lacking a sense of care in the majority of it’s presentation including a lackluster lead who normally is a guaranteed cash cow in spite of returning with empty portrayals. Westerns in modern Hollywood are already a hard sell, and mix that with a troubled production and a legend as unfamiliar to some as last year’s similar bomb John Carter and the results are already written on the marquee. For what it’s worth The Lone Ranger tries and it does get exciting but only momentarily before spiraling into a mess of a film that could have benefited from an editing machine, a rewrite (again), and a better star and director handling a 20th century legend.